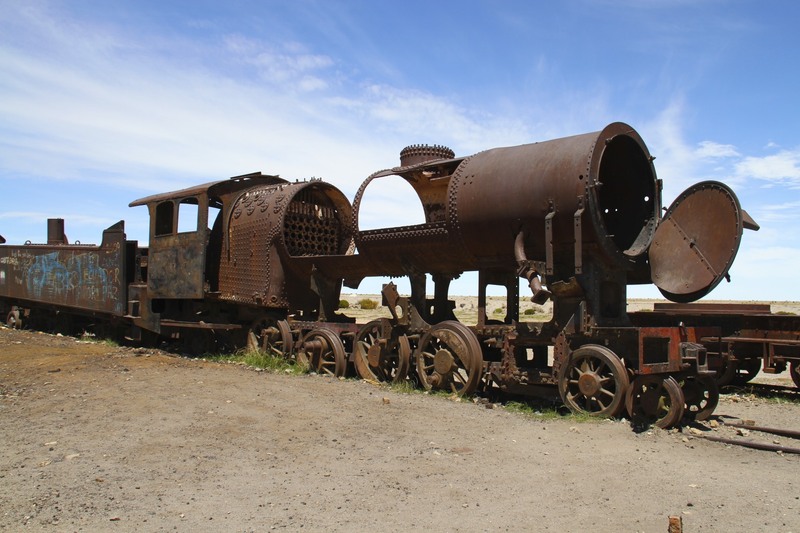 The one man-made must-see in Uyuni is an extraordinary collection of nineteenth- and twentieth-century steam trains slowly (very slowly in the arid climate of this region) rusting on the outskirts of the town. 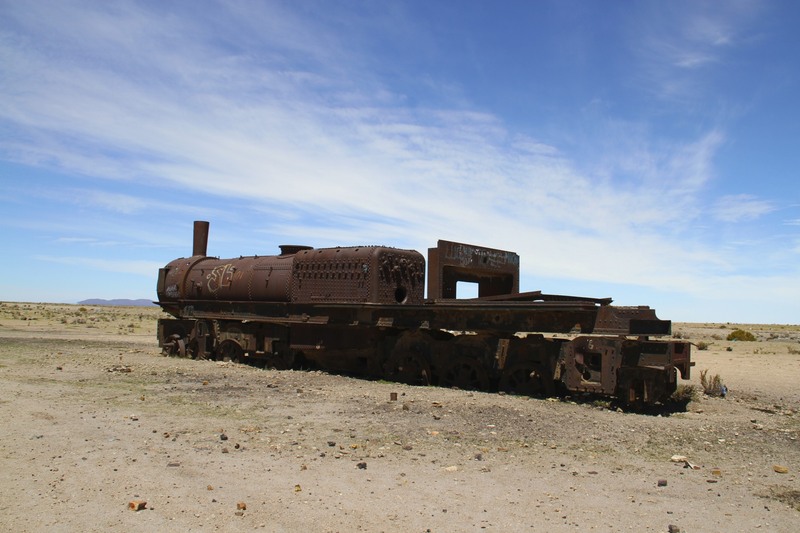 A train version of those elephant graveyards that I once saw on a BBC documentary. 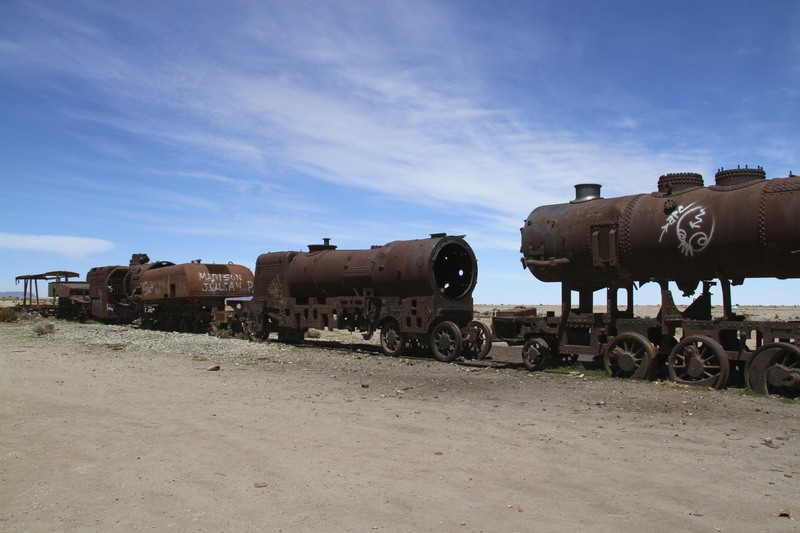 These monsters of the steam age make this a poignant and atmospheric place, or it would be were it not a compulsory stop for the hundreds of 4×4 tours doing the Bolivian South West Circuit – these once proud locomotives have now become a playground for snap-happy tourists. Large numbers of people can be seen clambering all over the trains posing for identikit photos – as if some strange force compels people to sheepishly copy what they have seen others do in photos. 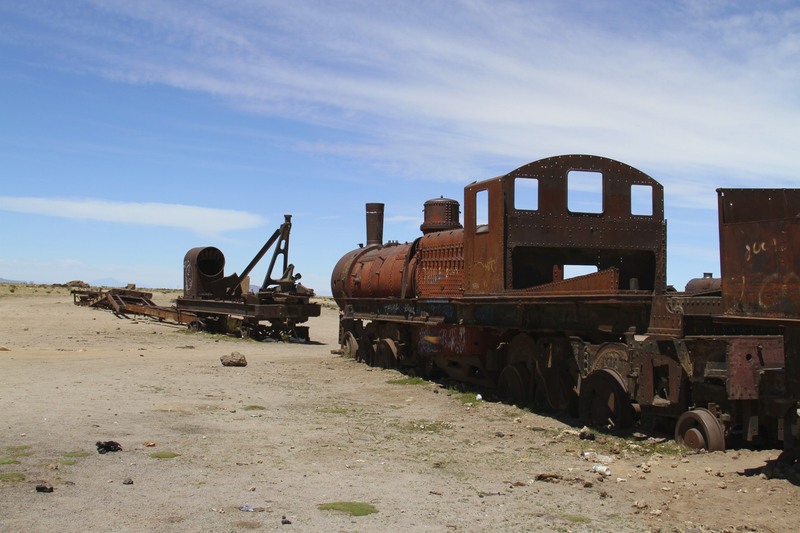 I know I’m being a killjoy, kids just want to have fun after all, but the sight that greeted us at Uyuni’s great train cemetery made me rather melancholy. Perhaps in future this once legendary industrial heritage will be properly preserved and treated with more dignity. It does seem like a magnetic place–forlorn and lonely, but magnetic. I hope this new popularity will encourage this site to be protected. 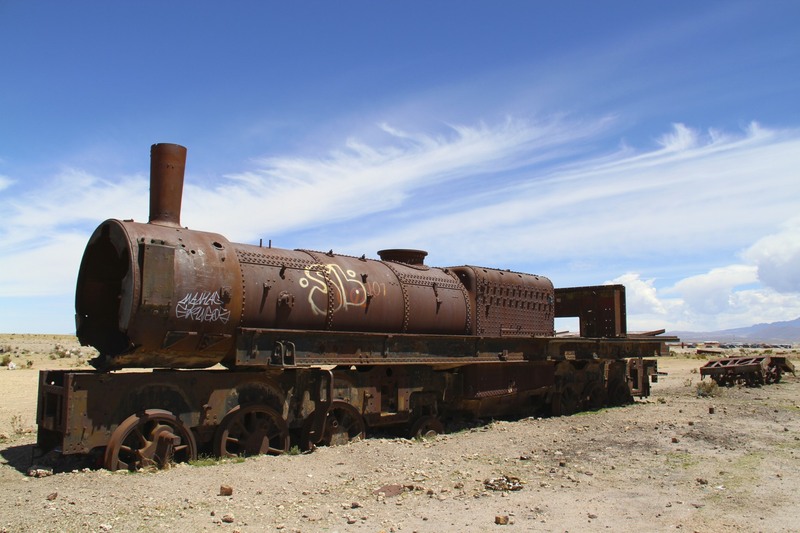 I hope so to, although this is Bolivia where “Everything is possible, nothing is certain”. True. I come from a place that fits that description too. All we can do is treat it right while we are there and hope for the best. I agree, it does look a sad sight. 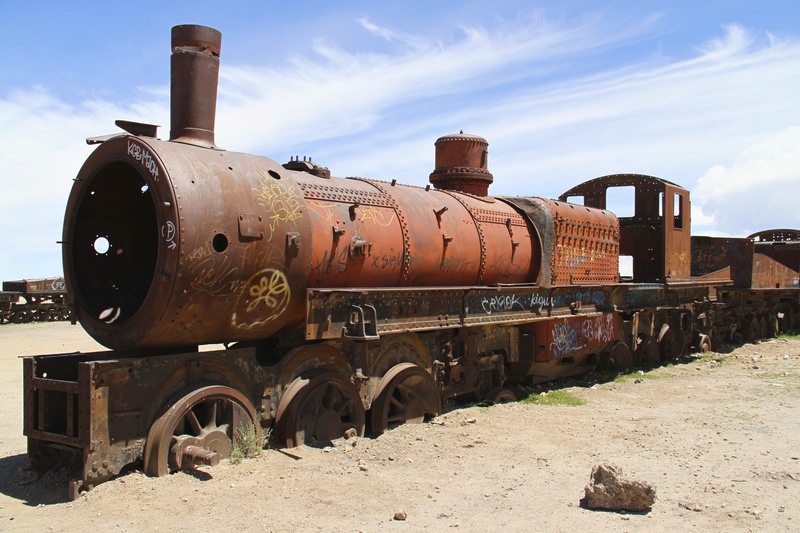 I am reminded of the aeroplane graveyards in the States……But the demise of a train system always symbolises the demise of communities it seems…. There is something tragic about industrial decline, as you say, because it reflects the society it comes from. 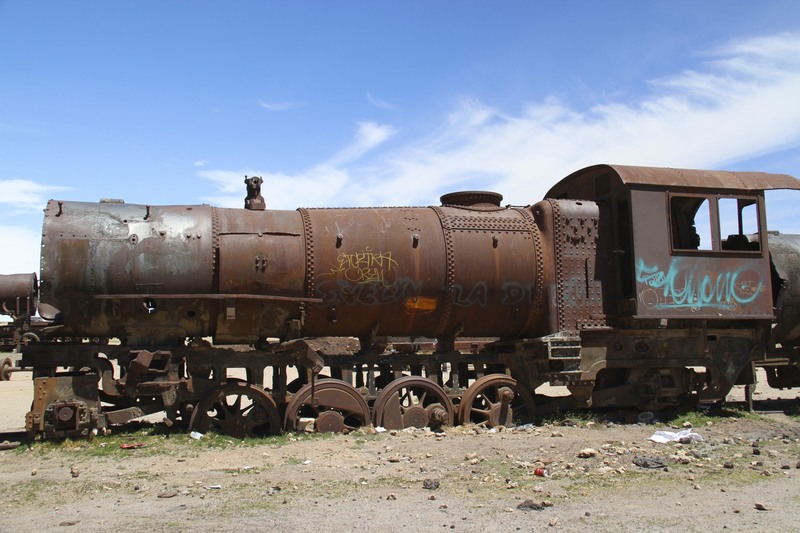 Seeing any large machines like trains or planes in a state of decay is always quite moving. oh man! I need to get here! Are they close to the salt flats? 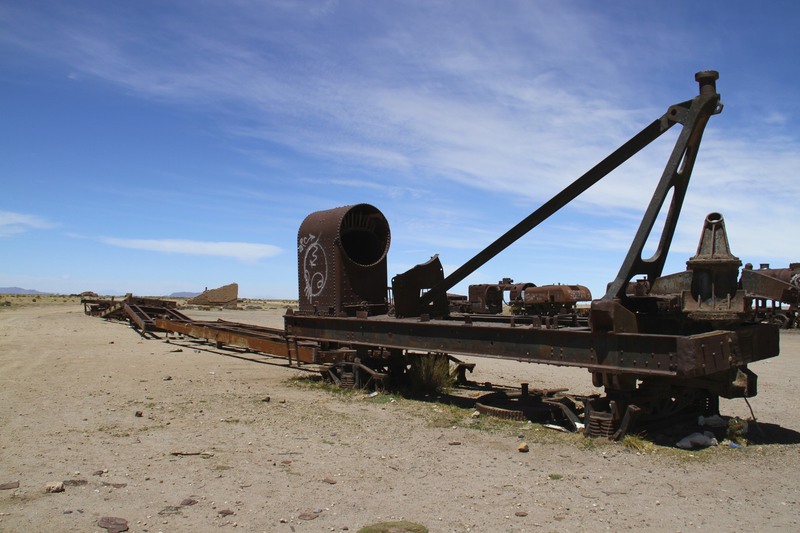 They are right on the outskirts of Uyuni, only 25 or 30 km from the salt flats, and the whole site is much bigger than my pictures convey.